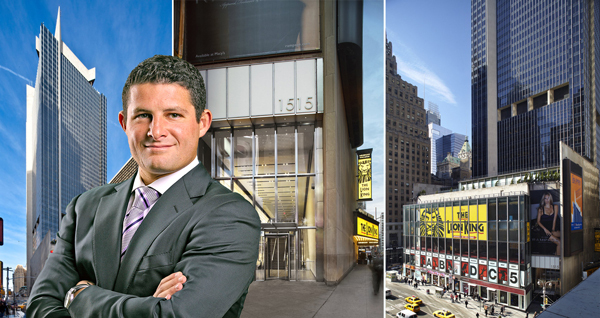 Italian cosmetics company Kiko Milano inked a 1,100-square-foot lease at SL Green Realty’s 1515 Broadway, filling the final retail vacancy left behind at after Aeropostale shuttered its store at the base of the Times Square tower. The deal comes as the retail market is showing increasing signs of stress. SL Green said that Aeropostale was paying $9.7 million a year in rent, according to Crain’s, which first reported the Kiko Milano deal. The three tenants the landlord has signed to the space – with the addition of an LED sign – are collectively paying $12.6 million a year, SL Green said. “When Aeropostale vacated the space, SL Green strategically elected to divide the space into three components plus an LED sign to achieve a rental level higher than Aeropostale’s,” said Brett Herschenfeld, SL Green’s managing director of retail leasing and investments. The landlord had previously signed Viacom, which has its corporate headquarters in the 1.75 million-square-foot tower, to Aeropostale’s second-floor space, where the media company will broadcast live programming. Mobile-messaging company Line Friends Corp. also signed a lease for 4,629 square feet on the ground floor of the 54-story tower. The space also comes with a new LED sign. Kiko Milano will open its store in between the Line Friends space and the Swiss watchmaker Tissot, an existing tenant.